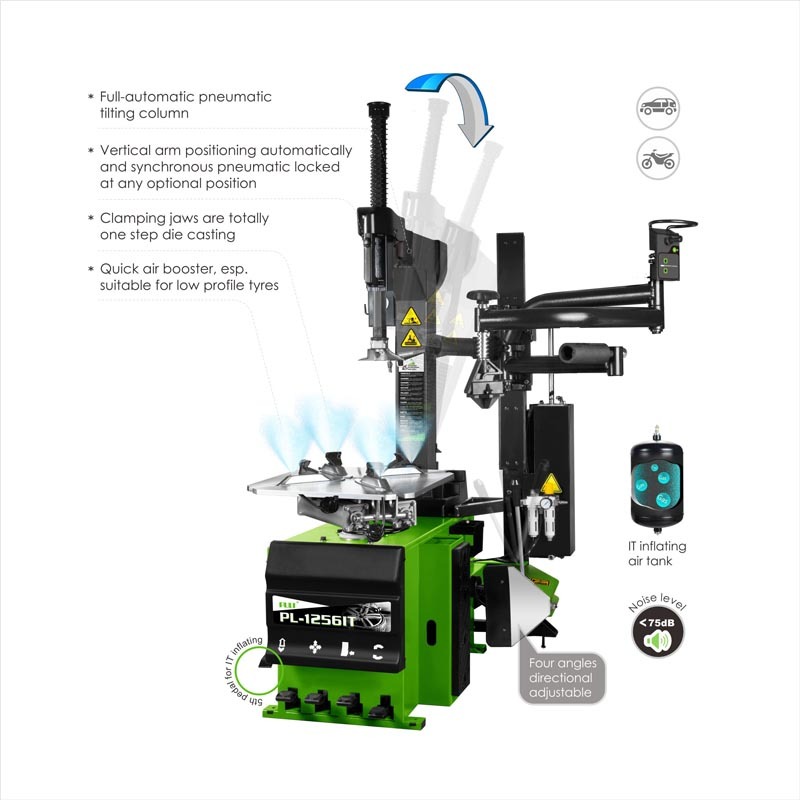 The PL-1256IT Tire Changer arm (mounted on the right side) performs almost all the same functions as the dual arms.Invalid slider ID or alias. * Pneumatic tyre lifting device which can be lifted at any position makes it labor saving and convenient to demount/mount tyres. 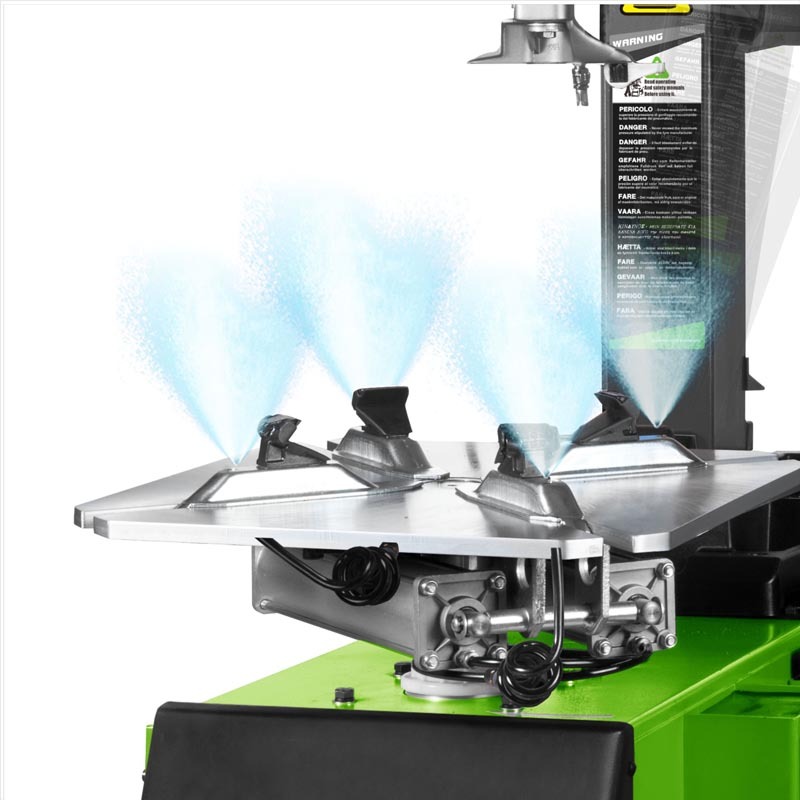 * Curved & unique design 360° rotary tyre pressing help arm, with combined tyre pressing head has functions of pressing tyre and central positioning. 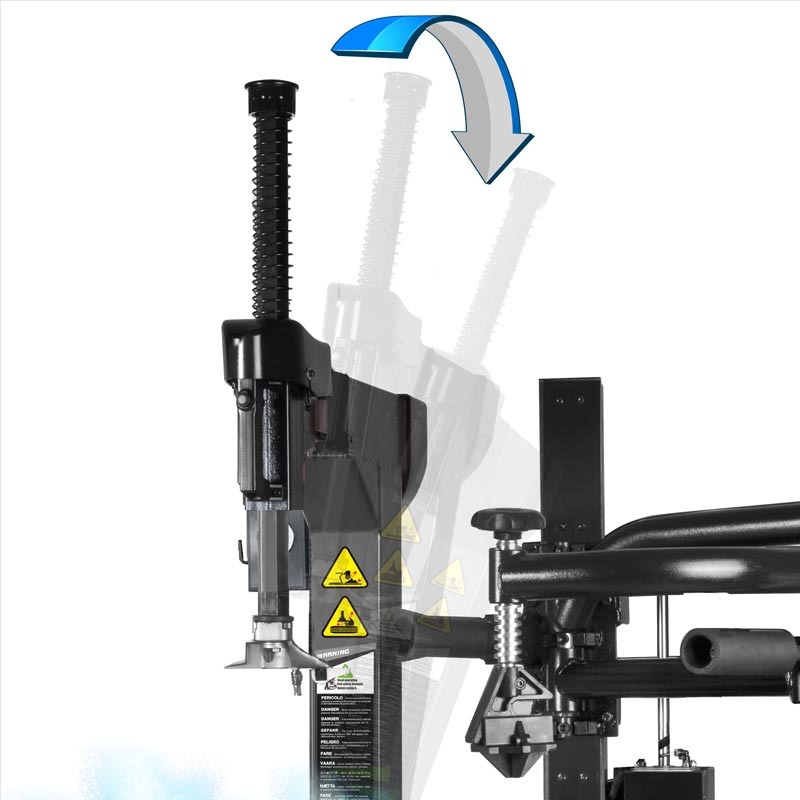 * Tyre pressing head vertical position is adjustable by new self-design threaded rod, which makes the operation more humanized. 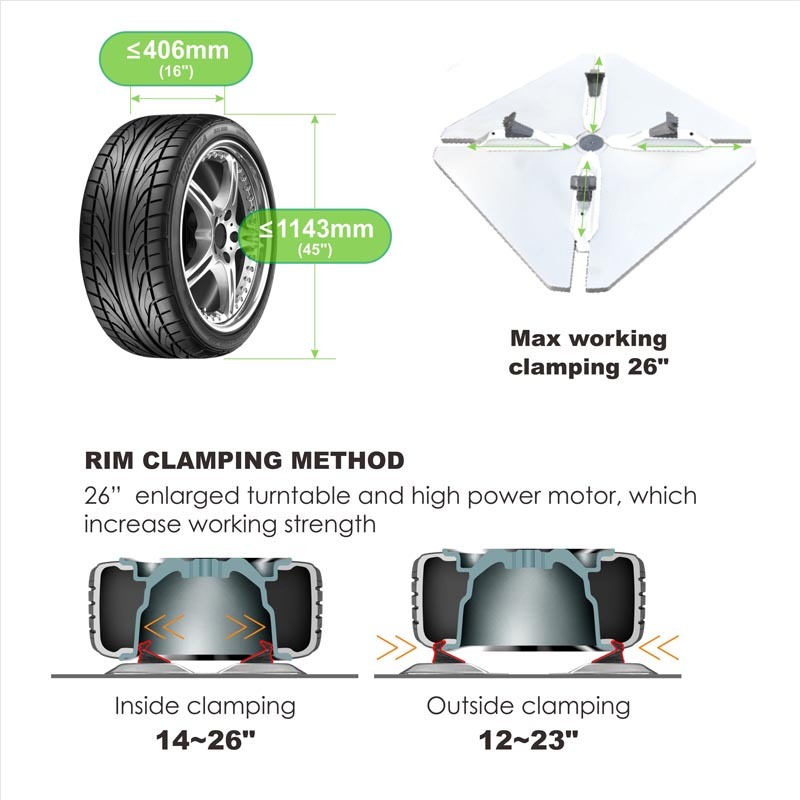 9.Quick air booster makes the tyre and rim jointed instantly, especially suitable for the low profile tyre.